I am really excited to share with you all my latest beauty website discovery, Unineed! 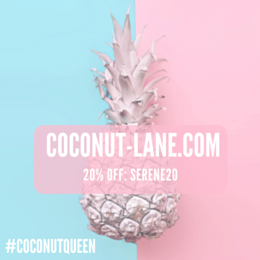 A beauty shopping destination that was founded in 2011 & that will allow you to purchase from the worlds leading beauty brands for a discounted price! I’ve had the pleasure of communicating with Unineed for a very long time via Twitter >> @unineed & so following their latest web redesign I wanted to try some of the products for myself to get an idea for how the website works and take a more in depth look into their beauty brands! First of all, I just want to congratulate them on an amazing 4 years, and then I want to say that the redesign of their website is just fabulous! 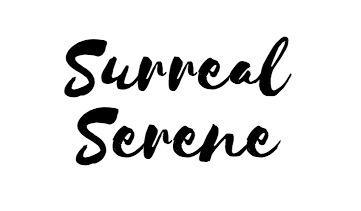 I love the new format for the site, and it is really easy to navigate through each category to find the products you need! Benefit, Prada, Nuxe, Estee Lauder are amongst some of many top brands they stock! 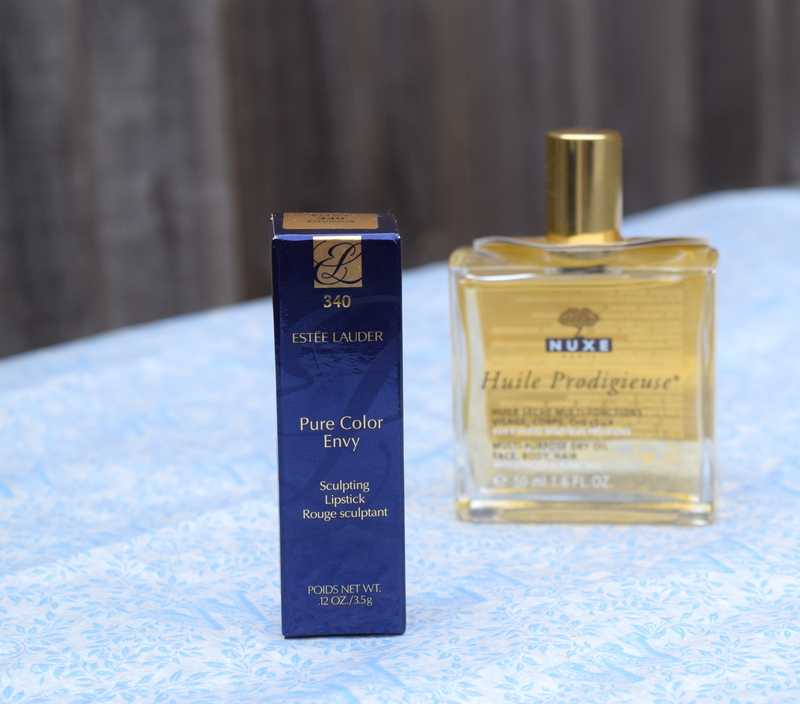 I was kindly sent two products, one was a Nuxe – Huille Prodigieuse & the other was an Estee Lauder – Pure Color Envy Sculpting lipstick in 340 Envious! Nikki, the lovely lady who took care in selecting which products to send me definitely hit the nail on the bullseye with the selection! I mean I am a red lipstick lover and the Pure Color Envy by Estee Lauder is just sensational! 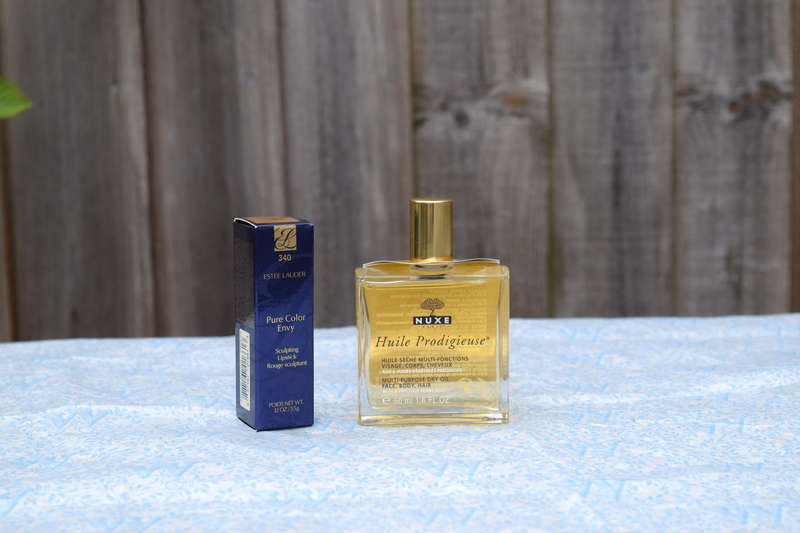 This Dry oil perfection in a bottle is absolutely sensational! Nuxe have done themselves proud with this all in one face, hair and body oil! 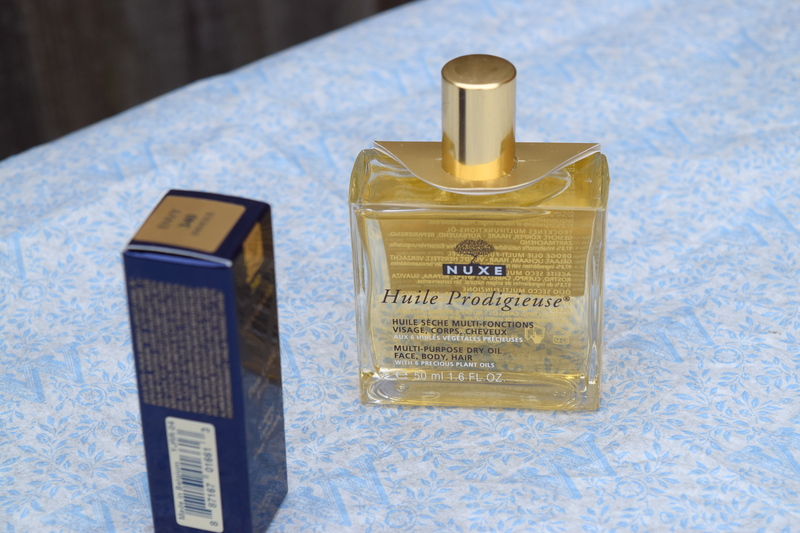 The scent for the Huille Prodigieuse is a strong vocal point for the oil, that just makes it that extra bit special! 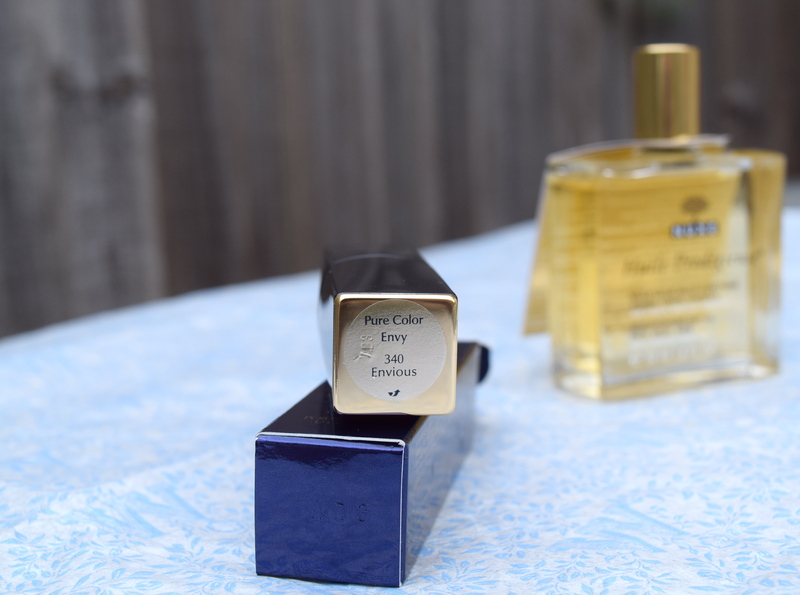 The oil is packed with flavours by including a strong note of orange blossom and plum, its middle notes of rose, geranium and magnolia, and its sensual base notes of coconut and vanilla. I can’t stop using this product, I’ve used it on my face, my body and my hair! I love the fact that the oil is not greasy, it is a dry oil that sits well on the skin & in the hair. You’d also be surprised to know that the dryness of the oil in fact has no effect on drying up your skin too :P! In fact the oil is very hydrating and moisturising and suitable for all skin types. I have sensitive skin and it caused no irritation whatsoever. 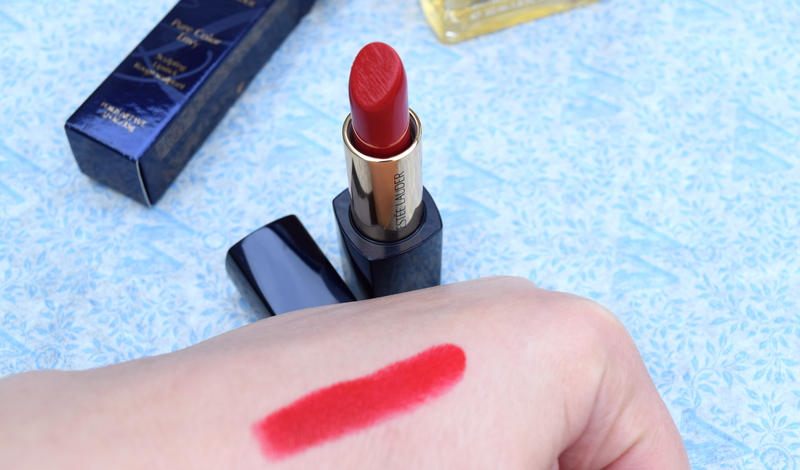 The Estee Lauder lipstick is the definition of envy! The magnetic clasp that closes the lipstick is perfection. The lipstick just oozes that Bond Girl type of vibe with it’s mechanical sounding magnetic closing lid. You almost feel like you’re opening a kind of lipstick weapon! That mixed with the formula for the lipstick is pure colour envy, if I do say so myself! I adore the packaging for this lipstick including the signature Gold & black logo for the brand! Trialling one of my favourite colours RED! I was invited by a lovely vibrant red that is 340 Envious within the Pure Color Envy Sculpting Lipstick range! 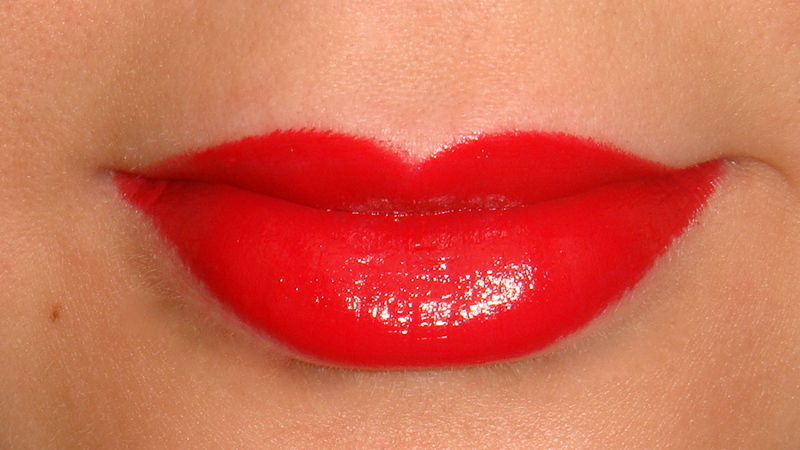 I love the moisturising and shine effect the lipstick has on the lips and the vibrancy of this red! It is a pure Crimson type of red that will just catch attention! With this being said, you constantly feel like your lips are hydrated and this lipstick is just the definition of long lasting! Here is a swatch on my hand & on my lips! To shop at Unineed just click here! 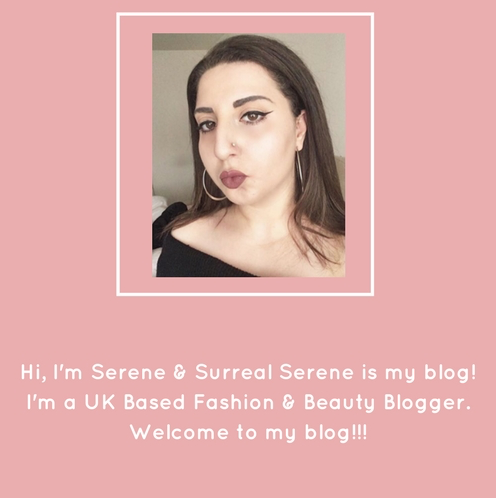 I hope you’ve enjoyed my Unineed – Online Beauty Destination blogpost!!! What do you think of Unineed? Have you used the website before or are there any other discount beauty online stores that you recommend I check out??? This site sounds fabulous! I wonder if they sell Lancome Visionarie Serum? 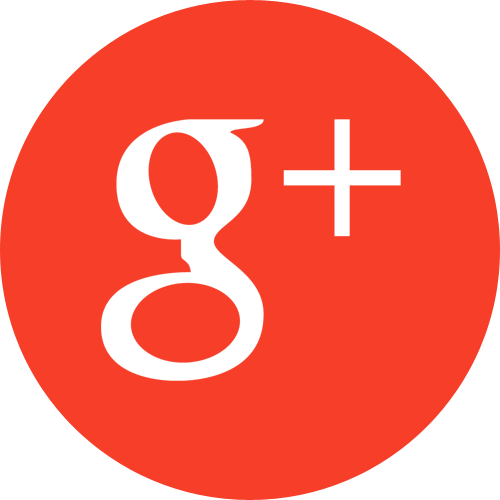 Let me find out…great post! This site sounds great! Will definitely check it out! Love that lipstick – gorgeous!! In love with that lipstick!! !this sounds lika a great site. Yeah it all looks amazing! I love it when PR teams are kind enough to do that! 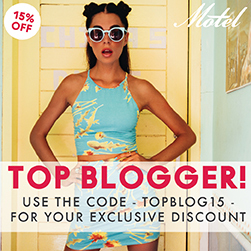 That’s a lovely way to support bloggers! One more thing! Make sure to use Envious over a lipliner because it tends to bleed a bit! Enjoy your products my dear! Goes best with all those “pretentious” lipsticks you can imagine! well, tbh I kind of felt like I went a bit overboard with these suggestions today! I hope that didn’t offended you in any way! Love the red color, looks very vibrant! Two of my favourite things! 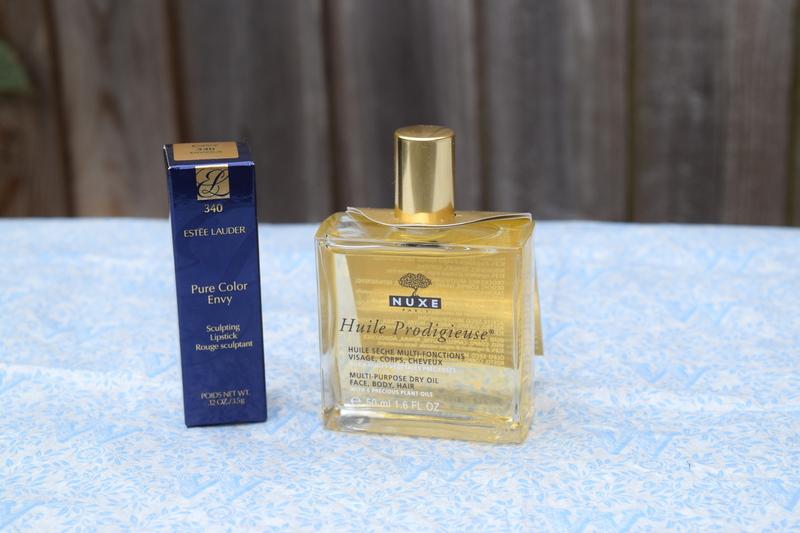 I’m thinking about getting the shimmery Nuxe oil for summer, love the scent so much. I am definitely going to browse through their site after this, Serene! Sounds like they stocked up on some really good brands and products. Love the Estee Lauder lipstick on you, what a stunning shade! I’ve not heard of this site before. That lippy is stunning! Good deal with this site!!! That lipstick is perfect for you!!!! I love the red lipstick…it is beautiful! 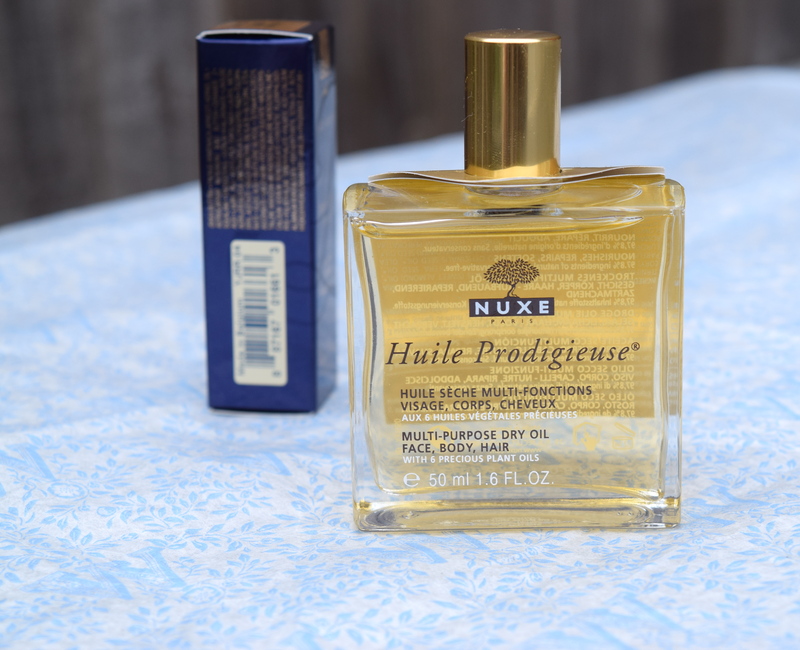 I loveeee that NUXE oil. Really want the bronzey shimmer version for summer on the legs and decollete. That red lipstick is stunning on you! That lipstick is such a beautiful colour and looks great on you! LOVE the Estée Lauder red, so beautiful! They sound amazing, and wow, my god, that lippie is fabulous!! This is a new website introduction for me and wow, they’ve really done well in the four years they’ve been around! 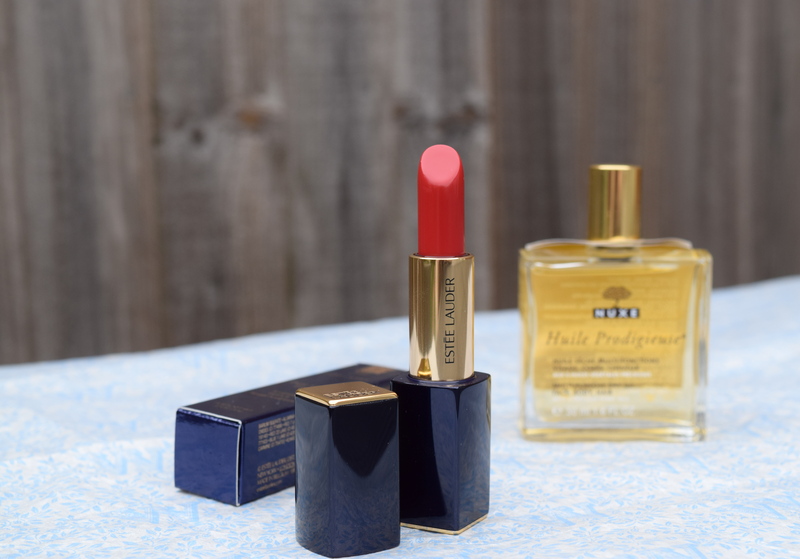 I love the range of products that are available over there and that Estee Lauder lipstick is ridiculously striking, what a shade, it really suits you Serene!! OMG! That red shade is TDF! I need to check out the website asap! Thx for sharing, Serene. Oooh, I love Estee Lauder but have never tried their lipsticks. That colour is amazing. Also totally obsessed with hair oils, will have to check out the site.